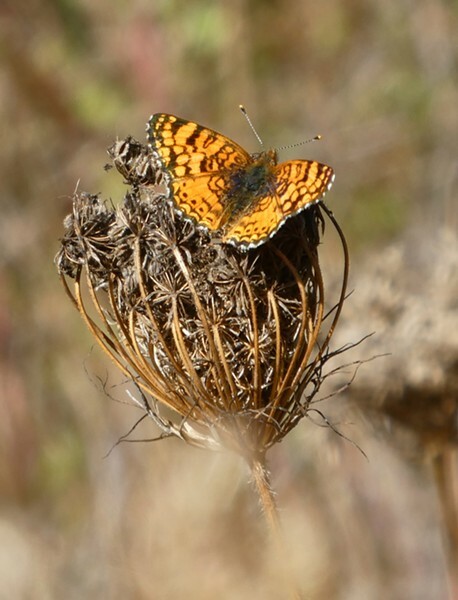 The local butterfly population is showing its fall colors and orange is the order of the day. Woodland skippers (Ochlodes sylvanoides), Mylitta crescent (Phyciodes mylitta) and California tortoise shells (Nymphalis californica) are all on display. The tortoise shells are particularly interesting. 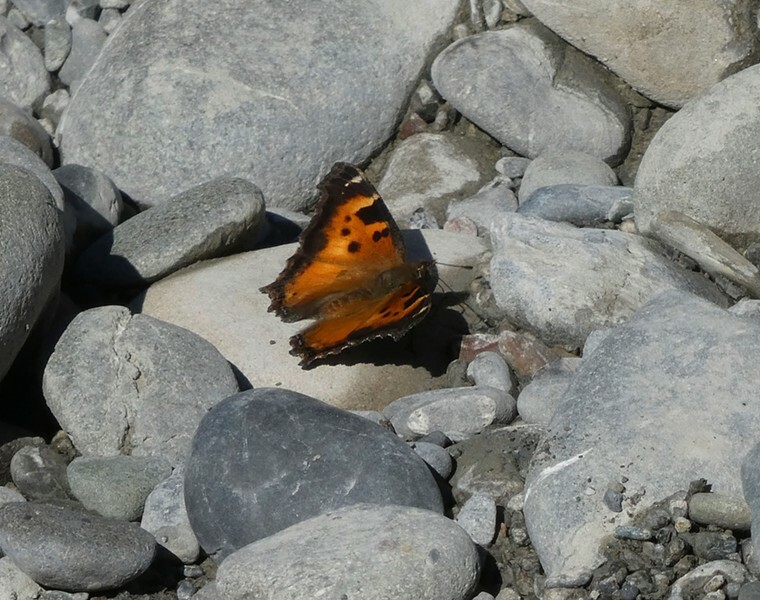 I've been seeing them for a week or so now, and they are always flying against the prevailing breeze downstream on the Van Duzen River. They are a well known migrating species with a complex life cycle which is explained in some depth here. Some years they are very numerous, others less so. This year seems to be kind of middle of the road in that regard. 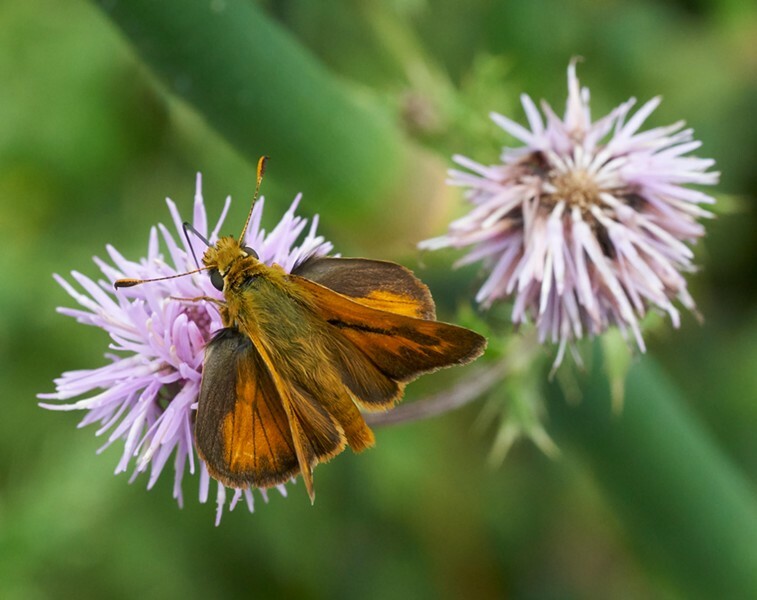 While the crescents and skippers are still in their bright, newly minted colors other species which have been out and bout for a while now are showing their age and some wear and tear. 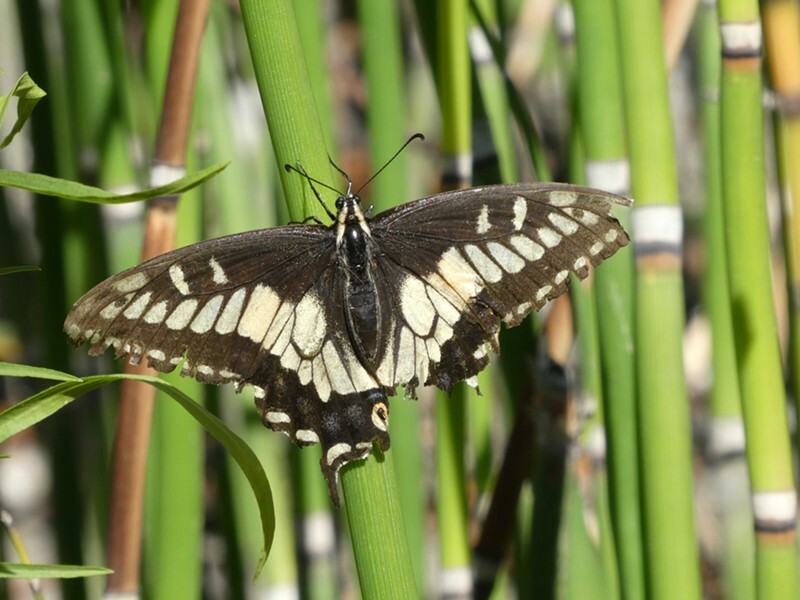 A favorite I've mentioned before is the anise swallowtail (Papilio zelicaon), which has always been a challenging species to photograph. Today one kind of gave up and let me take all the photos I wanted, even allowing me to adjust my camera without bolting. At first I was disappointed that its wings were faded and torn, but on second examination I find its perseverance through adversity inspirational. Following up on an earlier article on about the pollination of the local Chatterbox Orchids ("Clever Orchids," June 15), I went back to the very same stand of flowers that had enlisted a hoverfly to pollinate them. Full seed pods demonstrated their ruse worked. As most orchids do when pollinated, they produced a prodigious number of very tiny seeds. Nicely done, flowers. 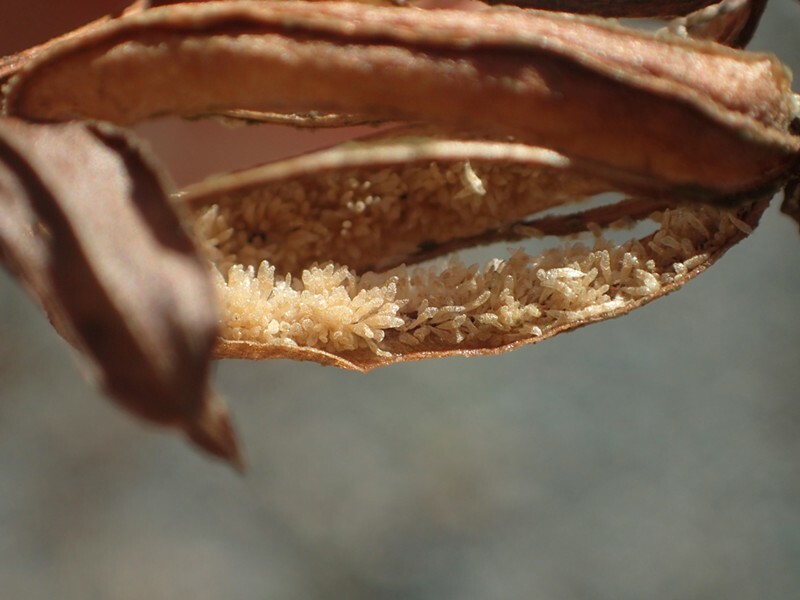 The tiny seeds inside the chatterbox orchid's pod.